Since the much anticipated General Motors IPO (GM:NYSE), many investors have started paying much more attention to new stock offerings. Even secondary offerings have seen more interest from retail investors due to a slew of successful bank offerings that paid down TARP. 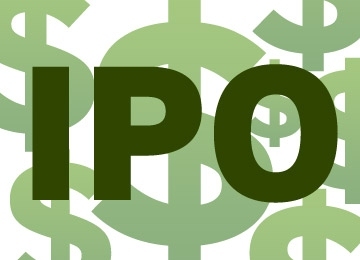 However, some IPO’s are not for everyone. Many of the highly sought after deals are just “flipped” by institutions, and the lesser quality deals are often given to retail investors, who often take risk similar to risk taken in silver and gold penny stocks, just to participate in these offerings. Provides a service revenue management and renewals platform for tech firms and is the hottest deal of this week. For that matter, it’s probably the hottest deal of next week too. Morgan Stanley and Deutsche Bank are the lead underwriters and retail allocations will be very small. The deal is multiple times oversubscribed and is expected for Friday. The early trading volatility in ServiceSource may remind some of a hot penny stock after a PR. This specialty retailer of clothing and shoes is the type of deal to watch and add to your list of stocks. The stock is followed by Goldman Sachs who has a $20 price target. However, this is a selling shareholder deal. This means, in most cases that some or all of the funds raised by the the offering. In the case of Express, they will receive none of the funds. This could get interesting in the next week or two. For you speculative types, Express could provide penny stock like volatility the closer it gets to the secondary offering. The deal has no set date , but is expected in the near future. Bank of America, Piper Jaffrey, UBS and Morgan Stanley are the lead underwriters. Check back frequently for Market news, penny stock alerts and IPO market news. Good luck, and add these two names to your list of stocks to watch. Many day traders and speculative investors have tried their luck using livetrading rooms. In these rooms subscribers are given multiple real time trading ideas by live and in some cases professionaltraders. By subscribing to one of these internet based platforms, subscribers not only have participated in real time equity ideas, but Forex and S&P futures plays as well. Well how do they work ? Livetrading rooms frequently offer free trial memberships to induce interested traders into becoming paid members. Some of the more established sites usually offer free trial that range from 1 to 7 days. While the lesser known operations will often offer a free subscription for as long as a month. I’ll start on a positive note, and one plus of using some livetrading rooms is the access to breaking news. However, most don’t offer it. Especially the sites that have lower membership fees. We all know how tough it is to efficiently watch a Level 2 screen and either keep an eye or ear on the tube to find out what David Faber or Jim Cramer is saying. It’s even harder for some to focus on trading when listening to the constant burst of information that comes through the internet based squawk box news services that so many traders use for news now. Especially if you are scalping or attempting to rebate trade. So having a one stop trading ideas/news service where you can just simply just watch your monitor can often reduce distractions. Another plus of subscribing and taking ideas from others is that there are actually a few solid, profitable traders working for these websites. I can recall three individuals that I once followed that had tremendous prolonged hot streaks, and all of them had different styles. Now you are probably asking yourself this question right now. If John Doe from XYZ Trading is making so much money then why is he giving out ideas in a livetrading rooms ? The answer is pretty simple. Many of these traders handle their own account’s and supplement their income with member subscription fees and purchases of add on products, banner ads etc. Keep in mind that it doesn’t take very long for a tech savvy person who trades professionally, to post a trade and it’s entry/exit points on a platform, and maybe follow it up with a quick blurb on the stock. The downside for the subscriber is that the person you are following is often in a profitable trade before you act. At the time of this entry CRWV rumors are abundant, but shares are getting smashed. 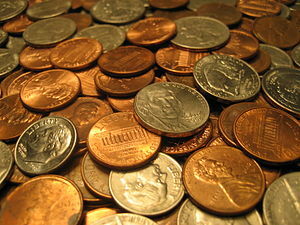 Shares of this active penny stock are down over 30%. It seems like the promo is still on, but my sense tells me that naked shorts are getting even more aggressive and weak handed longs are bailing. Here at PSE, we like to bring active trading vehicles to the attention of our readers and subscribers, and CRWV potentially fits the bill. Yesterday, we saw Crowne Ventures (CRWV.PK) CEO Dane Peterson deny any substance to the message board/chat room type buyout CRWV rumors. Peterson was savvy and quick enough to deny the rumors $4 takeover price by Yumana Gold (AUY:NYSE). However, the frequent PR’s released by CRWV do seem fluffy, and the value of the potential gold finds seems a little bit high, especially for a pink sheets penny stock. But, does the lack of fundamentals and current negativity surrounding CRWV stop the name from being a quality trading vehicle ? Absolutely not. There have been internet based CRWV rumors and comparisons to Lithium Exploration Group (LEXG.OB) and Portage Resources (POTG.PK) for a few days now. Please keep in mind that despite the fact both of these names have consequently smashed aggressive penny stock longs, there was money to be made in both as they began to move higher. But here’s the key, if you intend to buy rising, hot penny stocks, you need to look at the technicals and have a short term time frame. Otherwise, the potential to be eventually whipsawed in a quick decline becomes more and more likely. At this point the line in the sand for CRWV longs seems to be near the 4 cent level for longs, an a break of this number could lead to a retest of the 2 cent range. In closing, be cautious on any CRWV rumors or PR’s, because the charts and tape might be telling you a different story. Here at PSE, we try to issue pieces that give some guidance to aggressive traders, and CROWN VENTURES INC. NEW (PINK: CRWV) has popped up on our radar screen. By no means are we recommending a purchase of CRWV, because at this point the shares should just be viewed as a trading vehicle. At the time of this entry on Monday, CRWV is up about 18% on fairly heavy volume, which has eclipsed 43 million. At this point some could say the gains in CRWV are simply the product of penny stock gold players jumping in (Even though gold is off sharply today), others may credit the upward move to a strong stock promotion, but more importantly, there is a strong vibe in the penny stock commumity that a potential short squeeze might be underway with CRWV. It doesn’t take a genius to figure out that naked shorts are involved in many rising penny stocks, and these same prop traders and market makers are often right when they catch an overbought penny stock at the tail end of it’s move. Now last week CRWV announced that it’s properties have potentially $3 Billion of gold on them. Is that a stretch ? Probably. But does that mean that market makers might be caught short ? Well that remains to be seen.